All the flavors of fall, any time of year! 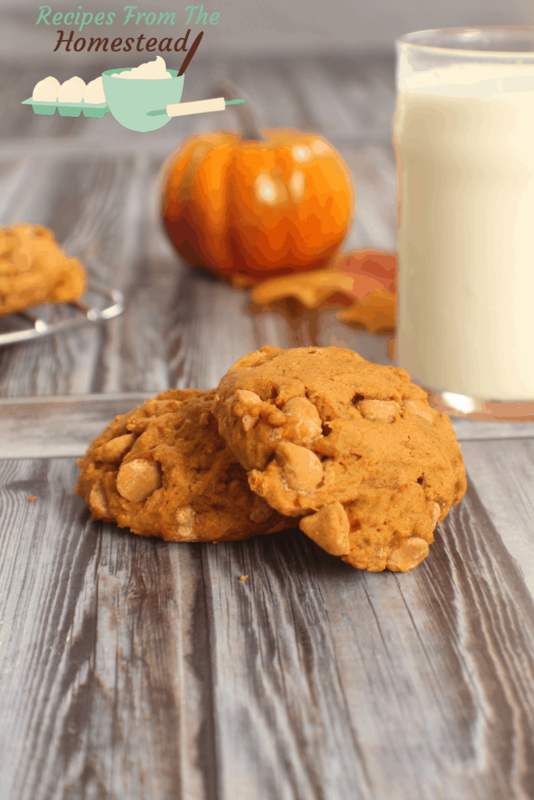 These pumpkin butterscotch cookies are tender and perfect for dipping in milk or hot chocolate! The boy loves cookies. Nearly any cookies, with a cold glass of milk are his favorite. As a matter of fact, I haven’t found ONE type of cookie that he doesn’t like. Oatmeal raisin, chocolate chip, even snickerdoodle are all deemed “worthy of dunking” to him. Guess what? 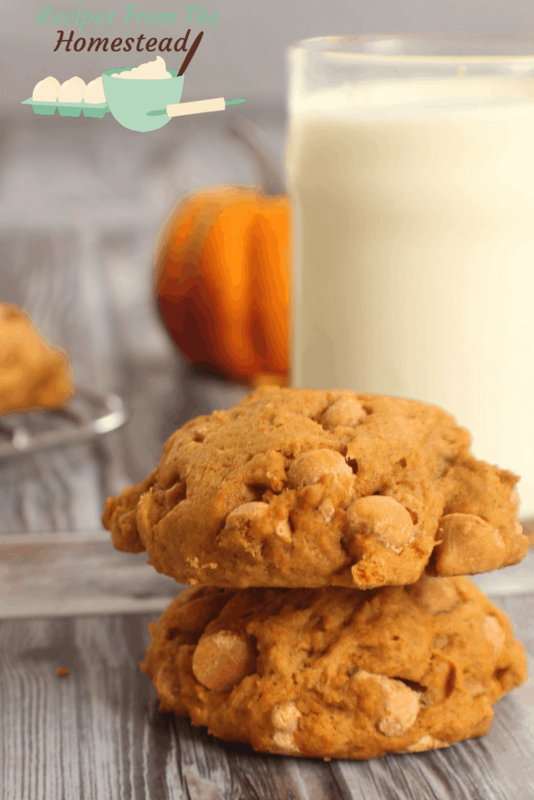 These pumpkin butterscotch cookies fit the bill perfectly! Tender, chewy, and with almost a cake like consistency, they have been dubbed “my new favorite” by the boy. The Frenchman and hubby also agree that they are super duper tasty. Now, I know you are thinking to yourself, why on earth pumpkin and butterscotch together? It’s a matter of golden, carmely goodness, actually. Pumpkin meeting butterscotch is like heaven being dunked in cold milk. Well, maybe a second, or third cookie. Go ahead, I won’t judge. 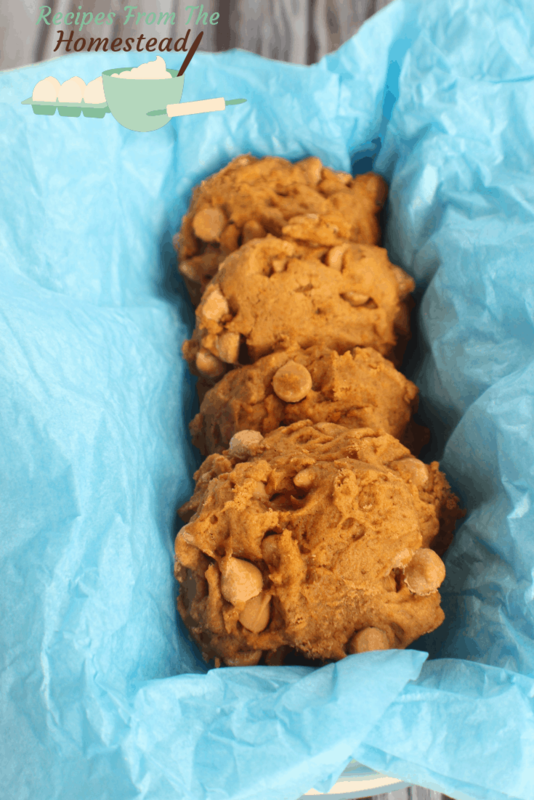 Did you know there is a secret to getting your cookies baked all the way through but still have a tender, chewy texture? My friends, it’s all in the timing of the cookie recipe. When you want a cookie to be more crispy, you can leave it in the oven for an additonal 2 minutes beyond what the recipe calls for. If you want your cookies to be more chewy, remove them from the oven 1-2 minutes before the time is up and allow them to finish baking on the cookie sheet on top of the stove. Easy peasy, right? Trust me, it works. In our restaurant, that is how we got the moist, chewy cookies that were perfect for dipping, dunking and just eating out of hand. 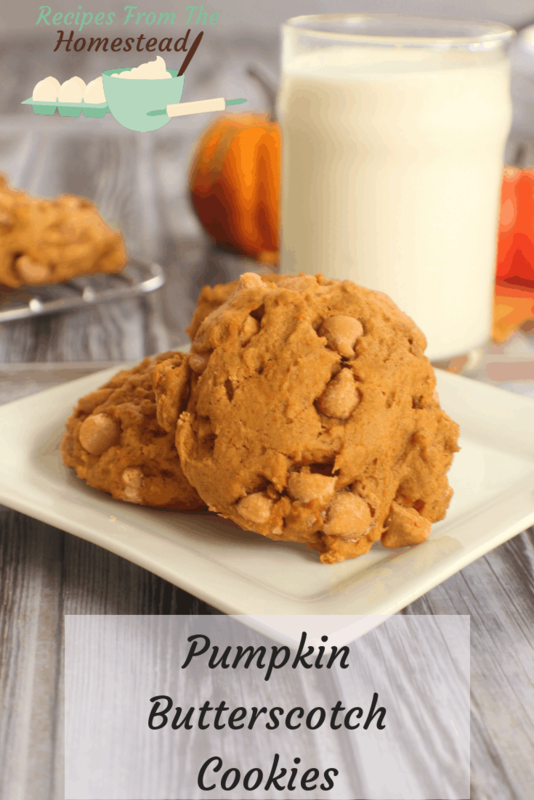 I bet you will love these pumpkin butterscotch cookies! Take a batch to your next family gathering and watch their faces light up. You’ll be the hero of the hour! In a medium sized bowl, stir together pumpkin puree, sugar , vanilla, and coconut oil. Whisk in egg and blend thoroughly. Mix the wet ingredients into the dry and stir until just combined. Drop by tablespoons onto a parchment lined baking sheet. Allow cookies to sit on baking sheet an additional 2 minutes before removing to cooling rack. Store in an airtight covered container for up to 3 days on the counter, or freeze for later! What is your favorite pumpkin dish? Will you try these cookies? Be sure to pin this for later, too!